Dr. Martin was born and raised in Maxwell, Nebraska, and is a true Husker fan. After high school, he attended Nebraska Wesleyan University in Lincoln, Nebraska. He played shooting guard for the Plainsmen and received his Bachelor of Science degree in Biology in 1989. He pursued his studies at the University of Houston College of Optometry, graduating with a Doctorate of Optometry in 1993. Dr. Martin began his professional career practicing optometry next to Eye Masters at the Parks Mall. After 9 years, he started his own private practice, Vision City® of Arlington. A year later, he opened his satellite office in Watauga. Dr. Martin is a licensed therapeutic optometrist and is glaucoma certified. He is dedicated to providing comprehensive eye care, therapeutic treatment of ocular diseases, and managing refractive and contact lens-related complications. His free time is spent with his wife, Kathy, and their four children. He loves all sports and is a big fan of fantasy football. 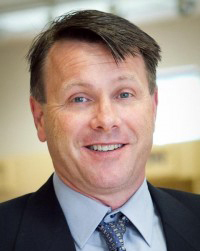 Dr. Allen is a life-long resident of Arlington and a graduate of Arlington High School. After graduating from Baylor University in 1988 with a Bachelor of Arts degree in Biology, she went to Houston to pursue her degree in optometry. After graduating in 1992, she returned to Arlington. 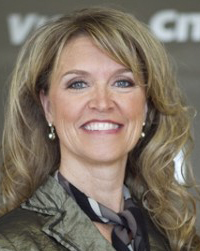 She worked as an optometrist for 10 years at the Parks Mall before co-founding Vision City® in 2002. Dr. Allen sees patients of all ages and is licensed by the Texas Optometry Board as a therapeutic optometrist and optometric glaucoma specialist. Dr. Allen is married with four children. She and her husband, Dann, spend most of their time with their children whom are heavily involved in all sports. In her free time, she enjoys traveling, working out and scrapbooking. Dr. Hirani was raised in Grapevine, Texas where she graduated Colleyville Heritage High School. 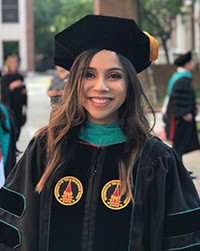 She then continued her education at the University of Texas at Austin and graduated with a Bachelor of Science in Public Health and a certification in Business Foundations. After that, Dr. Hirani attended the University of the Incarnate Word Rosenberg School of Optometry and graduated with a doctoral degree in optometry. She has been extensively trained to diagnose and treat a wide range of ocular conditions, including but not limited to glaucoma, diabetic and hypertensive retinopathy, dry eyes, accommodative dysfunctions, and pre and post operative care of cataracts and refractive surgeries. She is dedicated to patient education and understanding and strives to offer the highest quality of care to her patients. In her free time she enjoys spending time with her family and friends, watching the Spurs, Cowboys, and Longhorn games with her dog Olly and cat Milo, and traveling.